UK craft beer giant BrewDog has announced it has acquired independent pub and bar operator Draft House for an undisclosed sum. 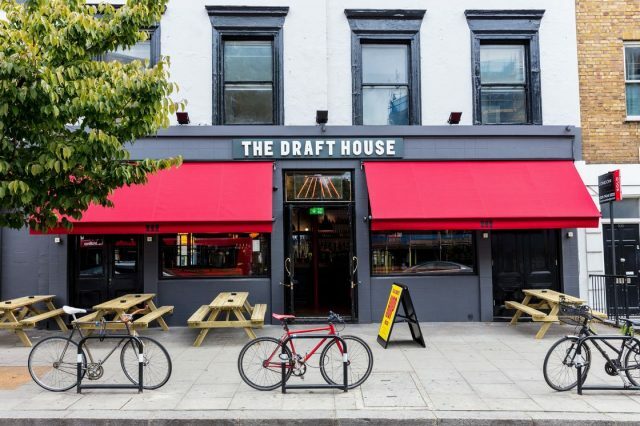 The news was announced today (26 March) that all 14 of Draft House’s venues across London and the South-East will be run by BrewDog, with the managing director of BrewDog’s own bars, David McDowall, taking over from Draft House’s founder, Charlie McVeigh. All 213 staff members across Draft House’s sites will stay with the brewer promising additional training and support for those interested in taking the Beer Judge Certification Programme or applying to the Institute of Brewing and Distilling. Founded in 2009 when it opened its first site on Northcote Road, Draft House now operates 13 sites around the capital and in 2016 opened a bar in Milton Keynes. BrewDog said that while planning to invest in Draft House and potentially expand the group in the future, the beer selection would remain different to BrewDog’s own branded bars, with an emphasis of independent craft beer from around the world. BrewDog is currently expanding globally at a fair clip. Earlier this year it announced plans to open a brewery in China and confirmed a new brewery in Australia. Meanwhile, it currently runs 50 BrewDog bars globally: 33 in the UK, one in the US, one in Australia, one in Brazil and 14 across Europe and now has plans to open a ‘craft beer hotel’ at its headquarters in Scotland.